A comprehensive, far-reaching and in-depth analysis of international dispute resolution. Anyone engaged in the resolution of any disputes throughout the Commonwealth, indeed the world, must have this manual at the side of their desk. International dispute resolution, in one or another form, is the practical concern of innumerable businessmen, public servants, lawyers, and leaders. The Manual will be useful tool. Represents the latest thinking in the area of international dispute settlement as it affects a number of area of emerging interest. A practical guide to international dispute resolution and settlement, especially in the fields of trade and commerce, investment, and intellectual property. Essential reading for international lawyers, business people and government servants. The author, an English barrister with particular expertise in the field of international arbitration, introduces each topic, illustrating it by decisions of the national and International Courts and tribunal. H also suggests sources for more detailed study in each topic area. 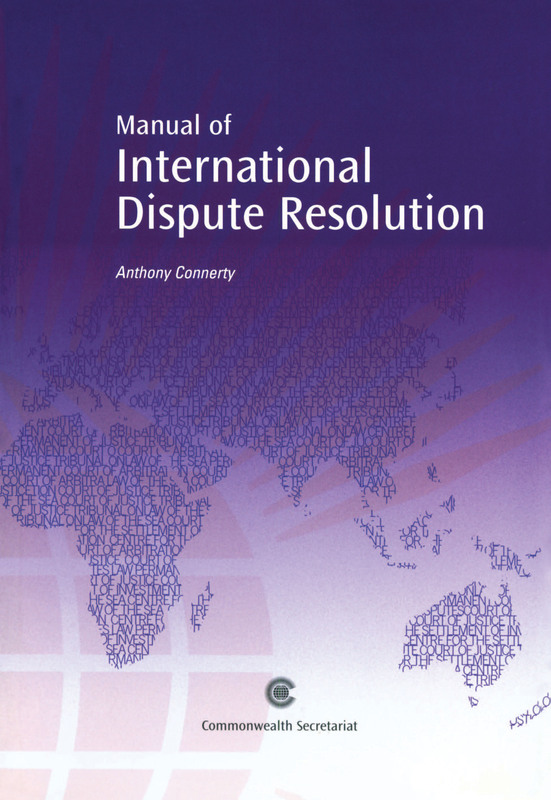 The book will be of interest to readers worldwide who need to understand international dispute resolution processes and institutions.